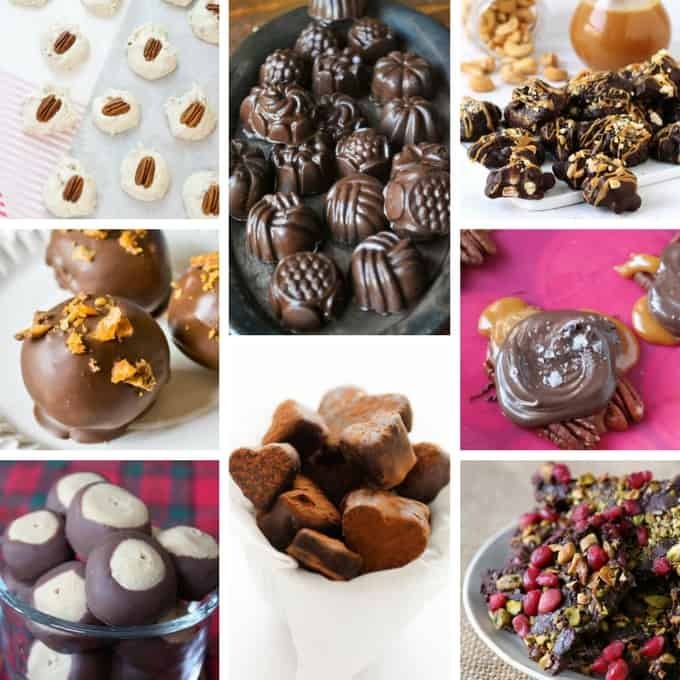 Homemade Candy Recipes: 30+ recipes from chocolate to hard candy! It’s no secret that we love Homemade Candy Recipes around here! 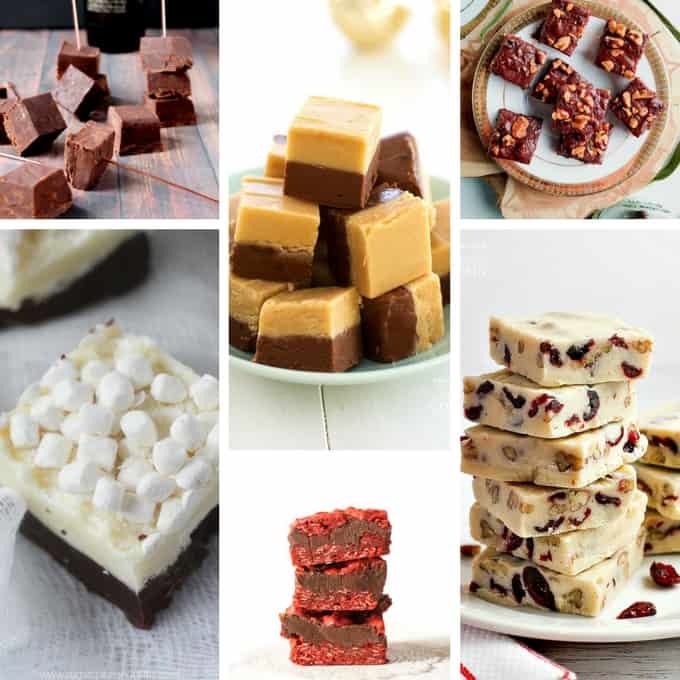 From Homemade Fudge to Chocolate-Covered Fruit Truffles, we love it all – and we had a feeling you do, too! Seems like people just don’t make homemade candy recipes as much anymore and I’ve noticed the price for “homestyle candy” at the stores is skyrocketing! 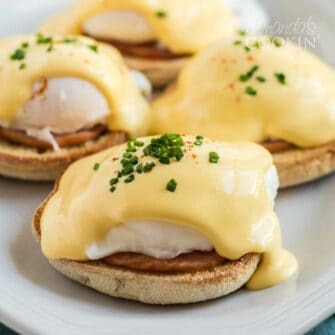 These are simple recipes with simple ingredients – but for some reason, people seem intimidated by them. 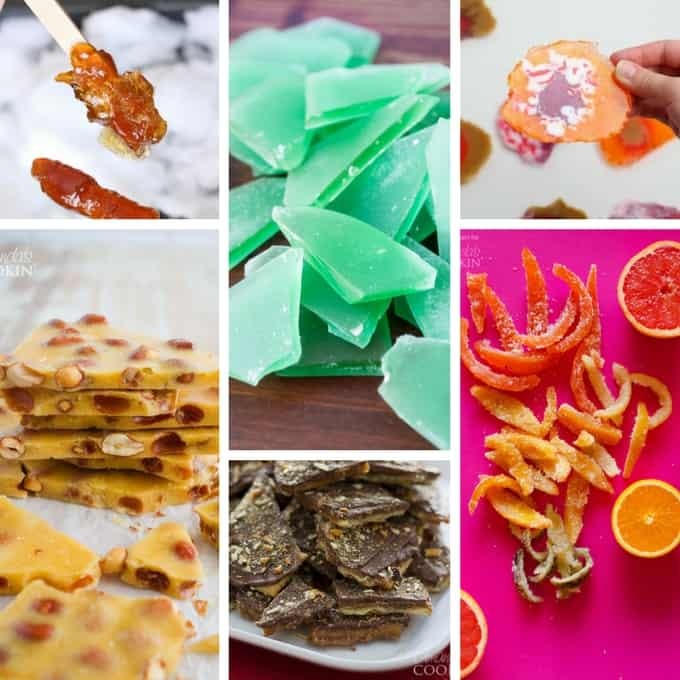 So we went out in search of the best and most simple homemade candy recipes. 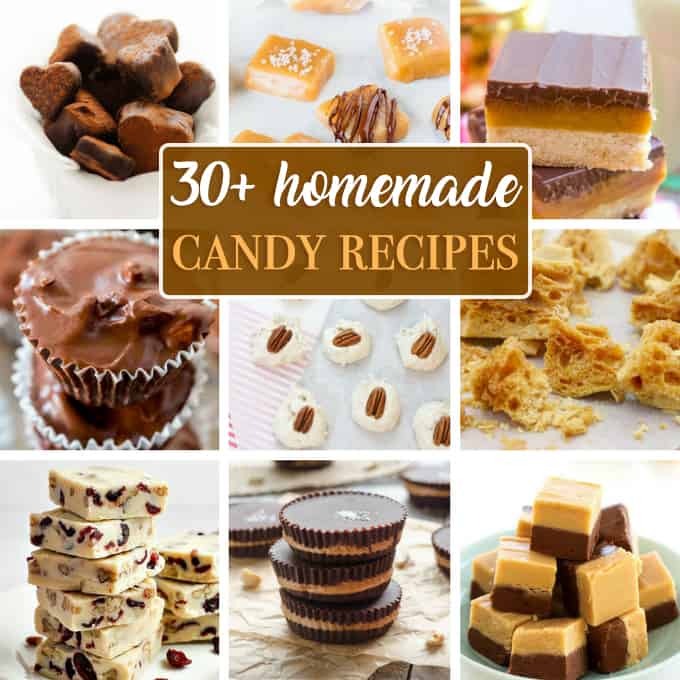 Whether you are a beginner or adept at homemade candy making, you will find delicious, new-to-you recipes in this collection. Some will require the use of a candy thermometer (highly recommended) while others just need a bowl and a microwave! From fudge and brittle hard candy to candy bars and gummy candies, you will find something for every sweet tooth below! This homemade Bailey’s fudge has just three ingredients and is a decadent, grown-up treat! Is there a flavor combination better than Chocolate & Peanut Butter? I don’t think so – so this Chocolate & Peanut Butter fudge was an easy choice! If you like your chocolate with a little bit of crunch, check out this homemade Chocolate Walnut Fudge! White Chocolate Cranberry Fudge is such a pretty and festive dessert! Swap out the mix-ins for other times of the year. These Red Velvet Oatmeal Fudge Bars are the perfect combination of crunchy and smooth. A hot-chocolate fudge with two layers of white and milk chocolate topped with mini hot chocolate marshmallows from Sugar, Spice & Glitter. Sea Glass candy can be made in just about any color, but I love this seafoam color version from The View from Great Island. Candy meets science with these DIY Agate Candy Slices from Sugar, Spice & Glitter. 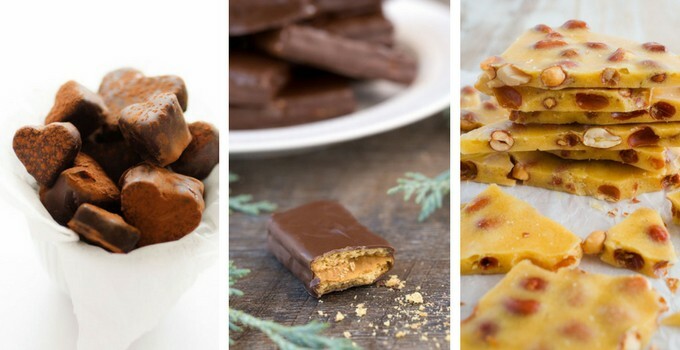 The original homemade candy recipe: Saltine Toffee is always a favorite at parties! Peanut Brittle is one of my favorite hard candies – if you haven’t tried it yet, you need to! I had never heard of Old Fashioned Potato Candy, but this recipe from How Does She sounds delicious! Slow Cooker Chocolate Peanut Candy is one of my favorites for making for gifts – this recipe from Dinner, then Dessert makes a ton! Oh, I can’t even imagine how amazing these Meyer Lemon-filled Chocolates from the View from Great Island must taste! Chocolate. Caramel. Cashew. Clusters. Yes, please! Pomegranates, Pistachios, Ginger and Chocolate – you can find them all in this delicious bark recipe from Nutmeg Nanny. Hearts aren’t just for Valentine’s Day – but you can also make these Chocolate-covered Fruit Truffles in any other shape you wish! If you have a Butterfinger fan in your home, you need to make these Butterfinger Tornado Truffles from Tastes of Lizzy T.
Which are your favorite homemade candy recipes?